In this tutorial I will only be showing you how to transfer weights between meshes in Blender. I am assuming you already have a basic understanding of the Blender interface. #1. Select both mesh parts (use the shift key), the part you want to transfer weights FROM first. 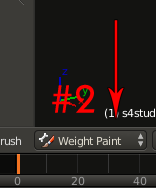 In this image the name that is highlighted is the second selected mesh. #2. Enter "Weight Paint" mode. #3. Check Auto Normalize if it isn't already. #4. Click "Transfer Weights" on the tool bar. #5 Choose method type. Each option transfers weights slightly different. 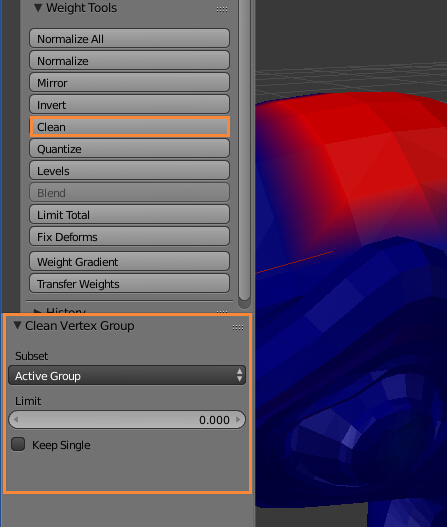 "Vertex Index" is only for identical meshes. 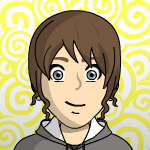 (Obligatory step or weights will not transfer correctly! Then select the new mesh and click Clean. Use the option All Groups and check the Keep Single box. This will remove all zero weighted bones. The image shows Active Group and Keep Single unchecked, which only does one bone at a time and removes the zero weight even if there is only one, leaving bones without weight. 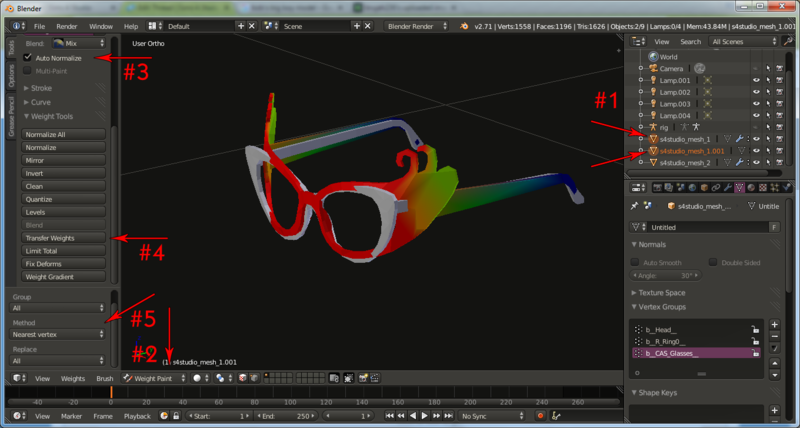 This is a completed weight transfer for this mesh and the bone b__CAS_Glasses_ is highlighted. Clarification: Modified text due to the confusion of having to use the "clean" step ONLY on 2.80 version of blender. The "clean" step should be used on ALL versions that aren't 2.70 to avoid extra 0 weighted bones to be transferred. Hey brujah, thanks for the tut. I can follow the first 4 steps without issues but become stumped beginning with 5. For starters, how do I get the Dimensions window up? And I know it says "choose method type", so which type does one choose? "Nearest Vertex"? how do I get the Dimensions window up? The dimensions pane isn't required for this mini-tut but it's keyboard shortcut for me is F12, or you can pull out the little plus sign in the top right corner of the viewport. And I know it says "choose method type", so which type does one choose? "Nearest Vertex"? Method type isn't really that much of a factor but does seem to be slightly different for each selection. 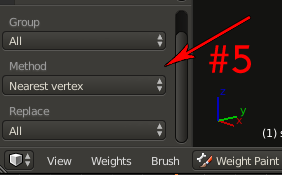 The bottom of the list "vertex index" is only used for identical meshes. Ah, ok, I was trying to figure it out XD I guess I did. Thanks! I was having another problem. When I made a "gem" shape in blender by myself and try to assign to the necklace (either the one with one ball or the longer one with 3 gems) it looks ok on the studio, then in game is very distorted, even when I apply the weight transfer by joint like it is showed in the tutorial here. I am having same problem as another member with a tusk necklace. But when I just delete parts and modify the gem in the necklace (without inserting my mesh in the EA necklace) is ok. I am putting it in the attachments. Is so weird. I tried the same gem I made in a earring and nothing bad happened, perfect fit and assignment. I think necklaces are more complicated than we imagine by EA with those sliders?? Btw how did you learn so much about blender? Are you an engineer or work for pixar ? The necklaces seem to be very sensitive to even slight differences between the item itself and the second UV map the game expects to see matched with it. I've noticed even a few of EA's neck items are a tiny bit distorted. Because we really don't know how to generate a matching second UV very well necklaces are problematic items to mod. Until we understand more about this subject CAS meshing is going to be in beta because there is no guarantee a given project will work out well. I used this tutorial to transfer EA weights of the feets onto custom shoes and it worked fantastic! Thank you Brujah, you saved me from a headache! 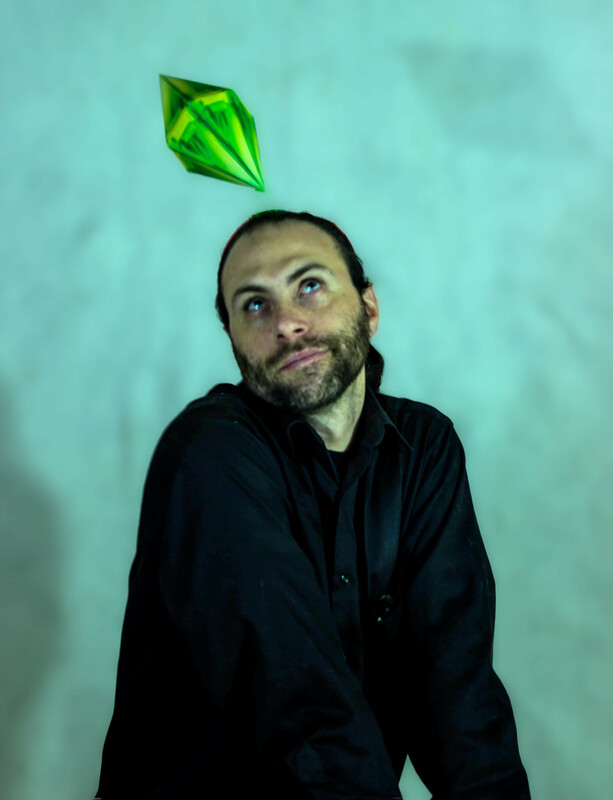 Hola Brujah y a todos los de The Sims 4 Studio! Primero, quiero darles gracias por éste tutorial con el cual yo he podido convertir mallas de Los Sims 3 a Los Sims 4 y asignarles el peso para que mi malla se vea tanto en el programa S4S y en el juego. A parte de darles las gracias, otra razón por las que yo les escribo es que mi malla aparece en el S4S y en el juego pero sin textura. Yo supuse que al cambiar mi malla por la malla de los Sims 4 ésta nueva malla debería adoptar la textura de la malla de los Sims 4 pero parece que no es así. Yo deseo preguntarles cómo puedo yo solucionar éste problema? Cómo puedo yo asignarle o crearle una textura a mi nueva malla? Agradezco de antemano toda la ayuda que puedan brindarme! Disculpen mi inglés, solo hablo español y me ayudo con el Traductor de Google. Saludos desde Costa Rica, Centroamérica. Hello Brujah and all you of The Sims 4 Studio! 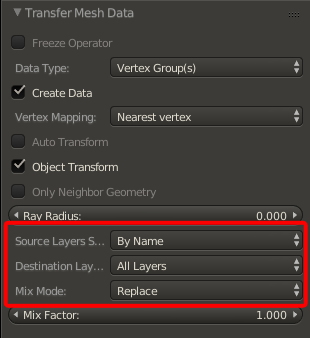 First, I want to thank you for this tutorial with which I could convert meshes The Sims 3 to The Sims 4 and assign weight to my mesh S4S see both the program and the game. Besides thank another reason why I write is my mesh on the S4S and game without texture. I assumed that by changing my mesh by mesh Sims 4 should adopt this new mesh for Sims 4 mesh texture, but it seems that it is not. I want to ask how can I solve this problem? How I can assign or create a texture to my new mesh? I appreciate all the help you can give me! Excuse my English, I only speak Spanish and helped me with Google Translate. Greetings from Costa Rica, Central America. Hi leosimlover, could you show a picture of the issue your mesh is having and also post the .package? Thank you for responding to my post! I appreciate it very much! Here attached all I think you would need to understand that what I did to tranzformar mesh The Sims 3 to The Sims 4. Only hope not confuse you with what you sent! 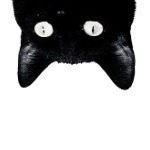 PS: If you do not understand something or send something wrong please let me know to explain me better! Please and thank you! In the .rar file called "Sims 4 Package-Converted" I include images of how the mesh is in the game, as seen and what I did in Blender and as seen in S4S. The first problem I can see is that you have not uv mapped the headband correctly. This needs to be mapped into the same texture space as the original sims 4 clone. You can use THIS as a guide. You also need to create a new texture and make it fit the same texture space. The weight is incorrect as well. This needs to be weighted to the head and not the jaw which you can do by following THIS tutorial. I'm not sure what you are needing to do with the cigar. Hello Brujah and everyone in S4S! Thank you for responding to my post and the comments you gave me! I already fix that WEIGHT, returned to rebuild the mesh cloning earrings pearl of the game, they just left me 2 Vertex: b__Head__ and b__R_LoLip__, but the latter I deleted it and leave only: b__Head __, and like the previous ones, will get to see in the game and in the S4S. What I do NOT achievement is creating the new texture to this new mesh and assign it to the share, I have seen several videos of UV mapping and texturing in Blender but everyone does from a mesh default Blender or after having created a new mesh, and start from scratch with the creation of UV mapping and texturing. As you may have noticed, I am very new to using Blender and should not get me to do this kind of thing but I've always liked creating custom content for Sims since I started with The Sims 3 and with them I used the 3D Milkshape and the same textures the object cloned from The Sims 2 I could use for the new meshes in The Sims 3 without creating a new texture. And I'm stretching a lot with this issue, sorry! My question is: Will be possible that you can make a tutorial showing how to create the UV mapping and texturing, and you teach us to modify the original mesh The Sims 4? I know it's asking a lot but I really need help with this, and surely have people with the same problem as me. Thanks for all the help you are giving me, so I appreciate it! We apologize for any inconvenience caused them!